Call Me Jorge...: more insanity of Talmudic Judaism — Eruv the magic rabbinical wire! 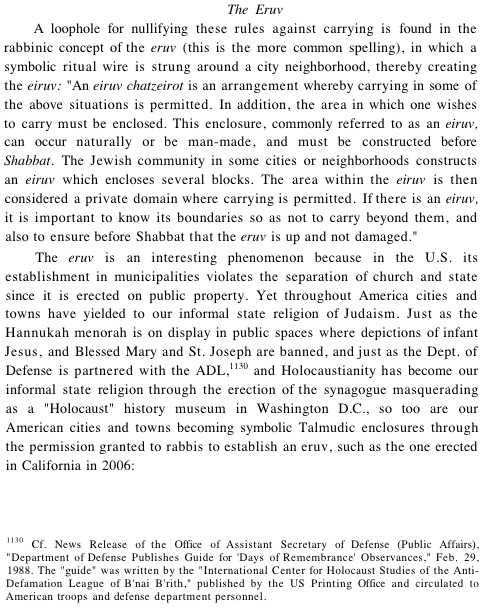 more insanity of Talmudic Judaism — Eruv the magic rabbinical wire! Why do Jews need an eruv? Sharia law Halakhic law is here! UH OH!!! Sound the ALARM the eruv is down!!! How long until Francis enrolls the Novus Ordo in assisting the elder brothers in the building of these foolish walls? Hurry! Before supplies run out!